Treat yourself to 4-star tranquility at Novotel Lake Crackenback Resort and Spa hotel, nestled in Thredbo Valley. Wake to sunrise over the Snowy Mountains and soak up the views from the balcony of your waterfront apartment. Relax in the spa, bushwalk, bike, or just curl up in front of your fireplace - the choices are endless at Novotel. The Alpine Larder provides honest country style service in a relaxed environment, whilst delivering wholesome, affordable comfort food that you simply can't resist. Cuisine on Lake Crackenback Restaurant and Bar promotes dining excellence offering classic cuisine using the best of local produce. 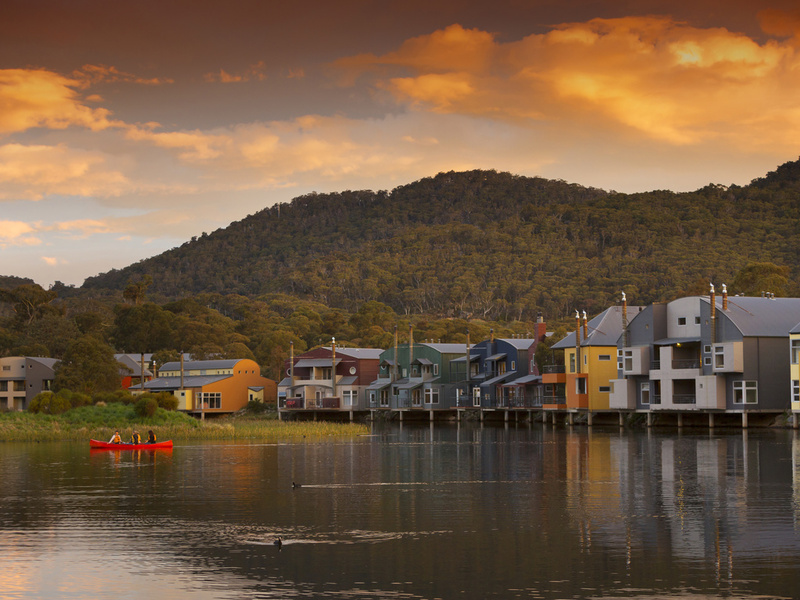 Relax and enjoy the tranquil views of Lake Crackenback and the surrounding mountains. Bookings Essential. Before your meal, join us in the Cuisine Bar for our famous mountain cocktails, or try our selection of schnapps, cognacs, liqueurs, beers and wines from around the world. Cuisine Bar is open Thursday - Sunday 5.00pm - 10.00pm most weeks of the year.